After many years of providing sustenance to hungry Toronado denizens, Rosamunde, purveyor of fine sausages in the Haight, has opened a sausage and beer restaurant in the heart of the Mission District, steps from the 24th St. BART station. This iteration of Rosamunde offers the same fine selection of meat and vegan sausages and adds soups (often vegan), salads, fries and a beer list featuring 25 taps with locals and Belgians and an extensive bottle list. Regularly seen on the list are Rodenbach Grand Cru, Houblon Chouffe, Radeberger and Köstritzer Schwarzbier as well as multiple IPA’s. They also offer a few wine selections. 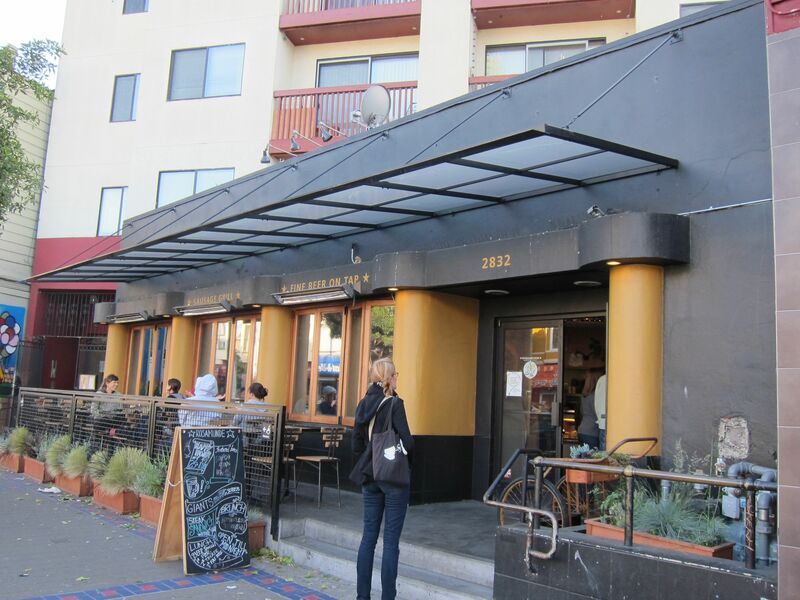 And unlike its Haight cousin, there are plenty of tables at which to enjoy your food and a pint or two. They’ve intentionally built long tables meant to be shared, giving Rosamunde a pub-like feel. Extras: Rosamunde is easy walking distance from Pi Bar, Shotwell’s and Amnesia for a nice craft beery tour of the Mission District. 2832 Mission St. @ 24th St.
From 24th Street BART, use “Exit A; 24th and Mission SW” escalator/stairs and walk south on Mission St. about 50 yards to Rosamunde.